Have you ever had pain in an area that was never injured? Why would it possibly hurt? There are two common sources of pain: new injury and old injury. New injuries can be repaired quite quickly if no significant tearing has occurred. Old injury refers to those injuries in which the pain may have lessened or gone away but the body never actually finished the healing process. There’s still an underlying problem and it re-emerges as pain later in life. This pain can develop in the same area, OR it can migrate to a different part of the body that was never even injured. This can be confusing for patients because they have pain in a region with no obvious explanation. For example, a few weeks after a knee injury the pain stops and we assume it has healed. This is not always the case. If the body can’t heal quickly enough it will compensate by changing its posture to find relief. The injury is still there, but silent for a time, and we forget about it. Later, however, the old injury reappears in the form of other symptoms. The compensation patterns start to stress other joints. That old knee injury becomes hip pain. The hip pain becomes lower back problems, and so on. Sadly, we begin living with pain for which we’ve had no direct injury, often accepting it as the natural course of aging when this is not the case! The key to stopping your pain is finding the injury or weakness, and re-establishing STABILITY, allowing the body to relax and heal. We all know the importance of keeping our body’s core strong but did you know that the true core of the body is the spine? Imbalances, tightness, and other areas of weakness cause problems in this true core, creating muscle tensions and twisting deep within the spine. Our thorough examination of your spine will uncover the mysterious origins of your pain and our personalized course of treatment will balance, strengthen, and reduce that nagging pain in your neck, spine, or lower back. Pain in the shoulders, hips, ankles, knees, and any of the joints of the arms or legs is often caused by old injury or an imbalanced posture of the spine putting excessive stress on certain joints. Our approach gets patients fantastic results when many other treatments have fallen short. Our examination exposes weak or damaged muscles that cause awkward movement patterns resulting in pain. Our treatments correct the muscle function, heal the joint tissue, and get you back to the activities you love! Muscles have the important job of holding the joints together while simultaneously moving these joints. 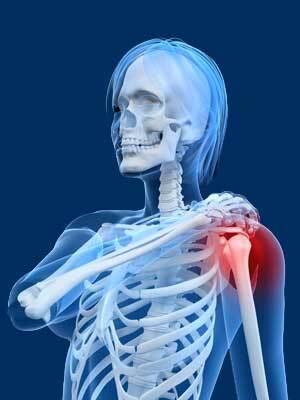 Many muscles work together for the smooth functioning of just one joint. For example, there are about 40 muscles that work together to coordinate the movement of the neck and shoulders. If, say 10 of those muscles are unable to perform, the other 30 must “pick up the slack.” This creates extra tension in those other 30 because they need to work harder to move the joint. Our goal here is not simply to relax these 30 tense muscles, but to strengthen the 10 muscles, that are not doing their part. This allows a reduction in tension in all the muscles, and you’ll feel much better, much longer!